"Editor's Choice ... intelligently balanced, beautifully played ... in the Archduke Trio, the Storioni are impressive, stylistically deep inside the music and conveying both its muscle and its inspired allure." Andante cantabile ma però con moto. Poco piu adagio. "The Storioni Trio is an ensemble to be reckoned with and their performance is nuanced towards every detail of Beethoven’s phrasing and dynamic range. The orchestra too, under Jan Willem de Vriend, is sensitive in supporting the solo group. 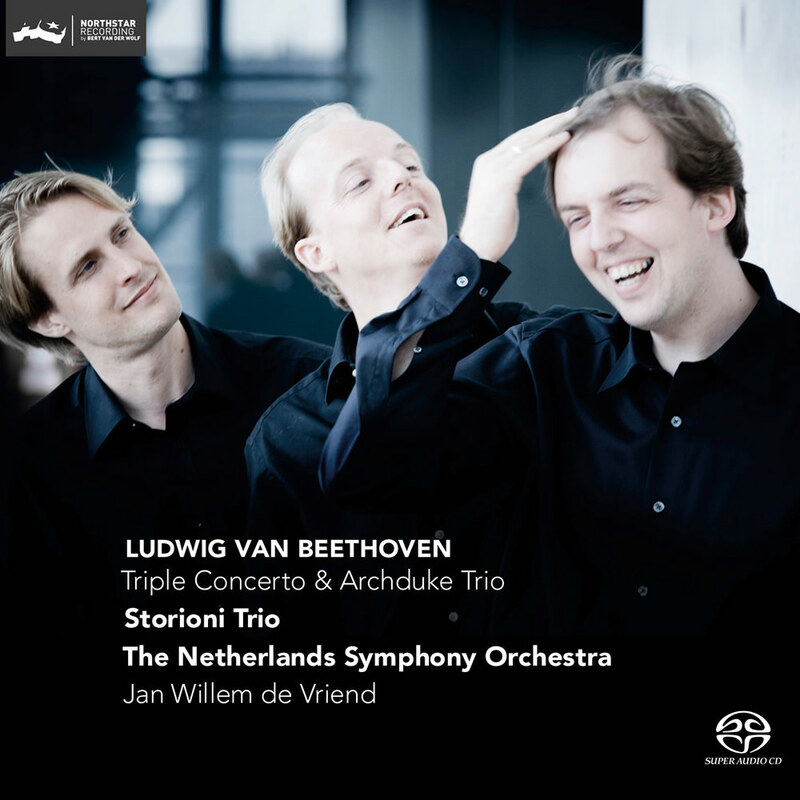 As such the performance in this beautifully engineered CD deserves the highest praise ..."
This album contains one of the finest recordings of Beethoven's Triple Concerto and Archduke Trio, performed on period instruments by the renowned Dutch chamber ensemble Storioni Trio and internationally acclaimed conductor Jan Willem de Vriend and his Netherlands Symphony Orchestra.